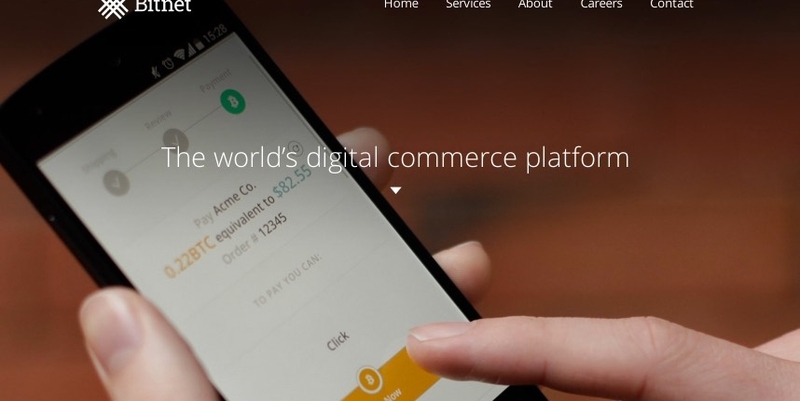 A group of traditional payments veterans has raised $14.5m to launch Bitnet, a bitcoin payments processor that aims to entice the largest merchants in the world to accept bitcoin. Led by Highland Capital Partners, Bitnet’s Series A round also included Rakuten, Japan’s largest e-commerce site. Notably, Rakuten is not only providing funding, it will use Bitnet’s bitcoin payments software. John McDonnell, CEO of Bitnet, told CoinDesk the company has an enterprise-level platform for large retailers to begin accepting bitcoin and that it expects its offering to compete against established market players such as BitPay, Coinbase and GoCoin. The executives at Bitnet worked formerly at Visa, and many were also previously involved in a company called Cybersource, which was purchased by Visa in 2010 for $2bn to handle its online payment infrastructure. “What we saw was an opportunity to bring that payments domain expertise from running the world’s biggest e-commerce payment gateway [to bitcoin],” McDonnell said. The Bitnet CEO explained that it is fairly simple for small merchants to begin accepting bitcoin. However, big organizations could experience problems integrating cryptocurrency payments given their often complex internal financial systems. McDonnell said that some large merchants pay upwards of 10% on credit card transactions, after paying for internal processing and fraud prevention expenses. Bitnet sees an opportunity for big companies to save money by moving from credit cards to bitcoin over time. Bitnet likes to define itself as a enterprise bitcoin payments company and aims to bring a complete bitcoin payments platform to its customers. McDonnell said that, prior to Bitnet, there were unresolved issues large companies faced when accepting credit cards that have not been addressed in accepting bitcoin payments. This, he reasons, is why more large retailers have yet to accept bitcoin payments. Most large companies have to feed payments through what McDonnell described as a large “Tower of Babel” backend system, where money must flow through databases and enterprise resource systems in order for organizational operations to run smoothly. “The big retailers mostly outsource their commerce activity to enterprise resource planning systems providers like Oracle or SAP,” he said. The Bitnet team’s prior experience makes them acutely aware of this, McDonnell continued, and as a result, the company’s software is built with these particular issues in mind. With the Series A funding, Bitnet enters a competitive field of bitcoin payment processors, which all have a head start in the race to sign up merchants and capture market share. Bitnet said that despite its late entrance into the field, it is confident its solution will provide it a competitive advantage in the space. Signing up a retail giant like Rakuten as an early client could further help the startup gain traction with large enterprises who are interested in bitcoin. Bitnet has been operating with a sales team in San Francisco and an engineering contingent in Belfast, Ireland, since quietly raising a seed round back in January. “From our perspective, as payments veterans, this is the most exciting development in FinTech, ever,” McDonnell concluded.